So . . . I was sharing an interesting collection of photographs done by a Russian (Murad Osmann) who takes Instagram pictures in parts of the world he visits. 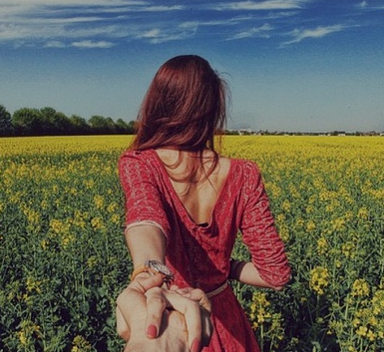 Each picture is taken from the perspective of his girlfriend leading him by the hand. They’re each set up nicely to show off some aspect of the countryside, city, village, or familiar tourist location and his girlfriend’s clothing and hair are always different. I’m no fashionista, but it appears to me her hair styles are sometimes related to the location they’re in. These are really nice photographs and you can see a collection of some of them here. Part of the reason, however, I’m posting this is because, as I was sharing (using a HootSuite widget that allows me to share directly from a web page to numerous social platforms) to Facebook and Twitter, I accidentally sent it here. I meant to send it to my LinkedIn profile. The way this widget shares with WordPress is less than adequate so, rather than just delete the reference, I thought I would share more fully. The pics are pretty interesting. Yes. They Are. You Need to be Paying Attention. 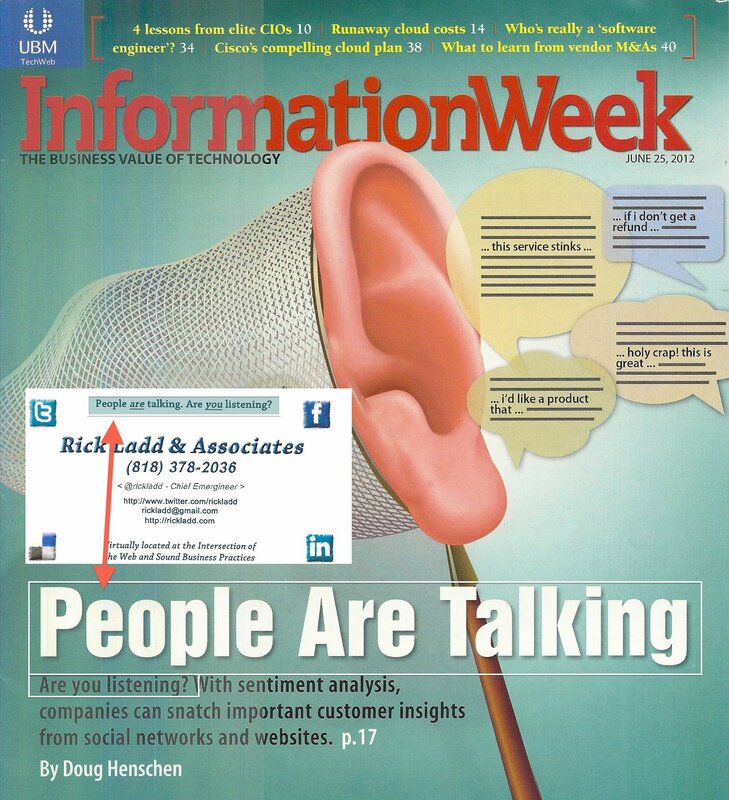 Information Week made it the cover story of their June 25, 2012 edition and I pointed out the similarity in a graphic I created and posted on my Facebook Fan Page. In some respects, we weren’t quite talking about the same thing, though, but they’re closely related. Their article focuses on sentiment analysis and my thoughts were more directed toward overall engagement, which includes sentiment analysis. They are also far more attuned to the needs of larger brands, whereas my concern is for small businesses and the value they can get from what I see as the proper use of social media. Now the reason I bring this up is there are a number of people here in Simi Valley who have created Facebook groups designed to help us communicate or promote local businesses or both. One of the activities that’s taking place is what some call “Cash Mobs“. We are trying to pick out small, independently owned businesses that we might be able to help out (at least with their cash flow) by patronizing them. As a result of this, one of the members suggested a location that might be able to use a small infusion of business and, consequently, cash. Since I have been trying to get locals to realize the value of using mostly free platforms, services, and apps to market and publicize their businesses, I’m always wondering how well certain ones are doing this. So I decided to check out this particular business with respect to a few things I think it could (or should) be doing. They have a Facebook fan page but do very little with it. The page has 45 likes and 10 people have gone to the trouble of checking in there. They haven’t bothered to claim their venue on Foursquare (a very simple process) and, even though 30 people have checked in a total of 106 times (that’s an average of 3 times per person; an indication of some loyalty), they cannot create specials to reward that loyalty and, perhaps, entice more people to try them out. They also have two listings in Yelp but have yet to claim either of them. Were they to do so, they would be able to correct one of the listings, as well as provide accurate information on what it is they do. What they do have is four (two for each listing) high quality, five-star reviews for their establishment. I say high-quality because all of the reviewers have numerous friends and have posted multiple reviews in Yelp. I also checked Yahoo Local (basic minimum listing), Bing Local (basic listing w/two of the Yelp reviews), and they don’t show up at all in Google+ Local. My contention is that by not taking the small amount of time required to at least claim venues and ensure they are completely populated with information about your business, you are showing you don’t really care what people are saying about you. Your absence from Yelp means you lose the ability to both thank people who take the time to say something nice about you, and to respond to those who take the time to report a problem they may have had. Without Foursquare you lose the ability to create specials designed to reward loyalty from current customers who are using the service and to entice new customers to try you out. There’s another factor as well, which Brian discusses in his article. When people check in to your business on Facebook or Foursquare or Yelp, which they can do with their smart phones, tablets, and laptops there is always the chance some of their friends will see where they are or where they’ve been. Since the most trusted method of referral is that received from a friend, either online or in person, every business that doesn’t take advantage of these tools is shortchanging themselves. There are other issues having to do with gamification, peer response, and virality but we’ll leave them alone for now. They are important to fully understanding how to use each of these applications, but they don’t matter one bit if your business isn’t using them at even their most basic level. In this economy I’m of the opinion not taking advantage of free marketing seems almost criminal and, while the tools may change as time goes by, the concepts aren’t going anywhere. What are you doing about it? Every time Facebook changes something on their (not sure whether to call it a platform, app, or service) offering, people seem to get all freaked out and complain because they have to learn something new or change the way they were doing things. I understand and appreciate change can be a bit disconcerting, but I’m one of those people who not only accepts change; I actually seek it out. So when Facebook adds or rearranges things I immediately start looking for how I can take advantage of it. Just so I’m clear, I am not referring to the issues of privacy and information security that arise now and again. That’s an entirely different story and, while I am clearly not as protective as many, I am always concerned about the security of my truly private information and that of my family. Changes in functionality are an entirely different animal and that’s what I’m concerned with here. When Facebook first introduced Timeline and made it available as a developer version, I was all over it. I was anxious to try it out, primarily because I was building a business that was based in large part on my understand of and familiarity with Facebook. I was anxious to see what they were doing, even though at the time it was not available to fan pages, which is the part of FB my business is involved with. I went through the necessary steps and got myself going. Much like my introduction to Twitter well over four years ago, I really wasn’t sure how I was going to use or benefit from it, but I was sure I wanted to figure it out. Now that it’s a part of fan pages and I’ve grown increasingly familiar with it, I’ve finally figured out how to use it for myself. Not my fan page, but my personal Timeline. I came into this world about the time personal photography was starting to take off. As a firstborn son, my parents took lots of pictures of me. They also took lots of pictures of family and, over the years, many of them have come into my possession. It wasn’t until Facebook made it possible for posts to be scheduled, i.e. given a Timeline date in the future and held in a queue until that time, when they would then appear, that I made the connection to the past. Up until very recently I have shared some old pictures, but I have dated them on my Timeline on the date I posted them. I have since come to realize I can create somewhat of an autobiography by posting items (pictures, scanned documents, etc.) and dating them appropriately. I can even add in locations and people I was with, provided they are current Facebook friends. This is no small thing for me, as I have two fairly young (11 and 8) children to whom I want to leave a record of my life. Using Timeline to do so seems so much easier than writing a book. It also is far more graphic and, because many of my friends (including those who were present when some of the pictures were taken) can post comments to them, they become even richer and more engaging. Furthermore, as evidenced by the picture above, my friends can share pictures they have, which become part of my Timeline as well. Interestingly, this picture was posted last November and I only just tried to change the date to the year and approximate month in which it was taken. I wasn’t able to do it, but I requested my friend who posted it to make the change and he did. Actually, he told me he didn’t know how to do it (people my age seldom do), but he had someone take care of it. I also realized there was a friend in the pic who has since become a Facebook friend as well and I was able to tag him. He chimed in within less than a day. I could never recreate my past in this way by myself. First of all, I don’t know any other tool that provides the combination of functionality that Facebook does. Surely there’s nothing that would allow me to slowly record a retrospective with input from many people who were there at the time or who experienced similar episodes and milestones. I believe I have a lot more to learn about doing this, but I’m enjoying discovering new ways in which to create the virtual experience I want to leave for my kids. Maybe it won’t work the way I am envisioning. Maybe my kids won’t care when it comes down to it. I don’t much care at this point. It’s a great learning experience and – so far – it’s a lot of fun because I almost always get feedback from others when I do post something. After all, it may be dated long ago on my Timeline, but it’s something new and it shows up in my friends’ news feed when I post it. Anybody out there have stories about their use of timeline, or have you discovered a bit of functionality you really like that you think others might want to know about . . . or that I might want to know about? Please be so kind as to share. Thanks. What Facebook and Google are Hiding from the world. Wonderful 10 minute TED talk on how Facebook, Google, and others are doing us a disservice by personalizing the things we see. This speaker points out that we are in danger of becoming a web of one when algorithms without deep ethical roots are used to determine what we want to know about. Great talk. My last post was about how Facebook has made it easier for me to remember birthdays and, because of that, send my salutations and good wishes to people I respect and care for. It was meant to be a little bit light-hearted, but not too much. Recently, I’ve had occasion to think about another element of my personal life Facebook has enhanced. For Memorial Day this year I replaced my profile picture with one of my long-deceased father. 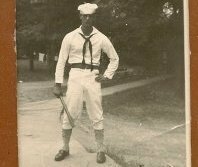 It was taken at Great Lakes United States Naval Training Center, sometime during his training as a Radioman. Subsequently, he served aboard Liberty ships and LSTs (Tank Landing Ships) and was a participant in at least one of the notorious Murmansk runs. As somewhat of a side note, as a result of researching links to include in this paragraph I discovered that my father was likely in what is referred to as the U.S. Navy Armed Guard, a special group of sailors tasked with defending U.S. and allied merchant ships during WWII. He never talked about his experiences in much detail, but I know first-hand he never again slept all that well. I learned at a very early age not to be within striking distance if I was asked by my mother to wake him up! I would gingerly grab a foot, shake a bit, then quickly back toward the door. I do know he also acted as somewhat of a ship’s journalist and cartoonist, as he had saved copies of the newsletters he wrote and published. I also know he was quite familiar with Morse code. So, back to the point of this post. As a result of my putting the picture up (I’ve put it here as well), my niece – my brother’s youngest daughter – saw and commented on the picture and the few words I posted about why I put it up. 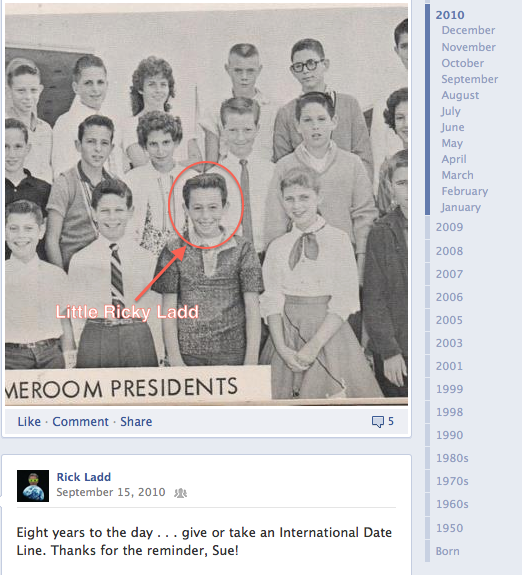 She commented “Very cool Ricky…I knew he was involved somehow with World War II but I never knew specifics. Thanks for sharing :)”, to which I responded mentioning how I was glad I could share what I remembered before I’m gone as well. She then said “I agree! It is a shame that I never got to meet him, but I always love hearing stories about him, no matter that they are second hand :)”. It then occurred to me that, despite the problems we’ve all had with Facebook, especially around issues of privacy, I have never connected with my family as completely as I’m able to do through it. I have managed to scan old photos of relatives and share them with my family. Many of them had never seen, and never would have seen, any of them save for my placing them on my wall. I know there are other ways in which I could share and, believe me, I’ve tried many. However, nowhere does such a large group of my family spend time than on Facebook. I don’t wish to defend anything untoward that Facebook does, and I have no doubt they’ve overreached in some areas. I can’t image serving a customer base of some 3/4 of a billion users without something being amiss now and again, so don’t color me surprised or even terribly offended. I am also not interested in getting into a discussion of how you or someone you know has been wronged by the service or any of their numerous applications. I believe there are more useful forums for that kind of a conversation. Can We Have a Little Empathy Here, Please? And Many More . . . . I keep discovering new ways that Facebook has changed my life. I began noticing that every time the birthday of one of my FB friends would show up in the top right corner of the page, I would take a moment to click on the person’s name and send them a greeting on their wall. At first I would note how Facebook was slowly eroding the old saw about men never remembering birthdays. Obviously, it wasn’t me who was doing the remembering but, nevertheless, I was aware of the existence of the birthday and was able to extend my wishes for an enjoyable one. Frankly, I had always felt a little guilty about not remembering birthdays because I kind of enjoy experiencing mine. However, in all honesty the guilt wasn’t quite strong enough for me to always remember when birthdays occurred. I had made some valiant attempts, through entering the dates for most of my family in my Outlook calendar, which I transported from computer to computer over the years . . . sometimes ending up with multiple listings such that I began to tune the whole business out. Additionally, there were recurring periods where I just wasn’t very good at checking my calendar. This has been an ongoing struggle, but it’s only been 64 years (a week from this Saturday, but I’m not fishing), so perhaps there’s hope for me yet. When I was in the corporate world, it was always one of the things I put down on the mandatory list of items I needed to work on – “improve my use of personal organizational tools to increase efficiency and effectiveness”. Now I’ve got Facebook, which keeps improving my ability to track things I otherwise never paid much attention to. Of course, birthdays don’t exactly make all that big a difference in my professional life, so there are numerous other tools I’ve come to use. However, the concept of gathering information from my contacts, associates, friends, family, etc. 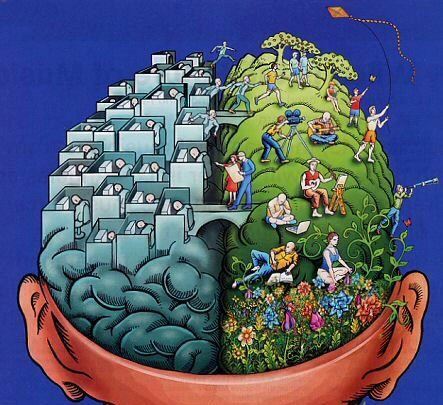 such that I can keep continuously better track of the things that matter to me most, is an awesome thing. Facebook, despite whatever shortcomings we may all ascribe to it, has played somewhat of a major role in this continuous development. For that I’m thankful. BTW – I was reminded of this cultural shift by Euan Semple, a wonderful blogger and someone I’m happy to say is a Facebook friend of mine. Euan’s birthday is today and he posted the following on his wall: “I turned off posting to my wall because of the amount of hacking Facebook was suffering but doing so just before my birthday and preventing people sending birthday wishes was a bit dumb!” I guess that about explains it for me. I am getting no small amount of joy from being able to send birthday wishes to my friends; all because of Facebook. I like to think, in some small way these acts are bringing us closer together. Has Facebook changed the way you interact with your friends, etc. ?